When Life Gives Hands You Lemons…. When life hands you lemons make grape juice…then sit down and watch the world try to figure out how you did it. 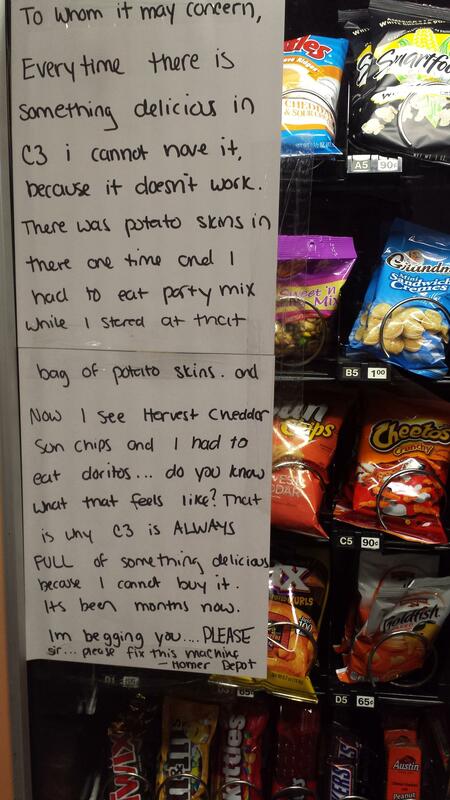 Note to Vending Machine Technician- Do you feel this guy’s pain? I laughed so hard, though…and then I cried. I miss those little, funny things about my Dad. Life is like a very long TV show…without a remote control. That moment when you take a seat in an auto repair shop that’s closest to the door where the cold air is coming in when others go in and out of it. You realize those around think you’re a dumbass, but you don’t dare move to another seat because you want to make them to believe you enjoy the cold air and sat there on purpose.